Ronald Frederick Geesin (born 17 December 1943, in Stevenston, Ayrshire, Scotland) is a musician and composer, noted for his very unusual creations and novel applications of sound. Ron Geesin started his career from 1961 to 1965 as pianist with The Original Downtown Syncopators (ODS), a revivalist jazz band emulating the American Original Dixieland Jazz Band. The band was based in Crawley, Sussex, UK. Geesin is well known for his collaborations with Pink Floyd and Roger Waters. After the band found themselves hopelessly deadlocked over how to complete the title track from Atom Heart Mother in 1970, he worked with Pink Floyd as an orchestrator and organizer, and he also wrote the brass introduction. 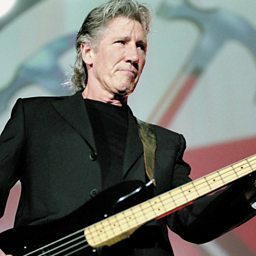 Geesin also collaborated with the band's Roger Waters (the two men shared a love of golf) on the unconventional film soundtrack Music from "The Body" (1970), sampling sounds made by the human body. Nick Mason "I think we rather blotted our copy book by losing our lead singer at a BBC session"